Yesterday's post seemed to bring a little confusion to my gentle American friends. Cold temperatures generally leave me a wee confused so I'm not totally surprised. But it seems a great deal of you don't know what we Canadians put on our heads to keep our brains from freezing into ice blocks. That would be a TOQUE people. 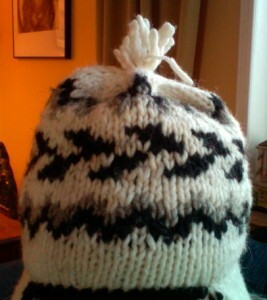 Note the pompom on the top. 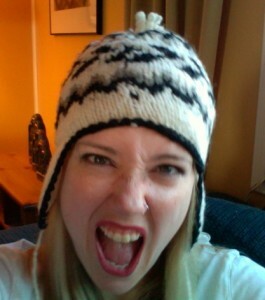 Any Canuck worth their salt knows the only good toque is the toque with a fuzzy ball of yarn on the top. It's like walking around all winter season with a Christmas ornament on our skulls. Fashion means nothing when one has to brave our arctic like winter temperatures. Warmth is the preferred currency even if it means looking like a deranged lunatic who stole a cheerleader's pompom to attach it to their head. 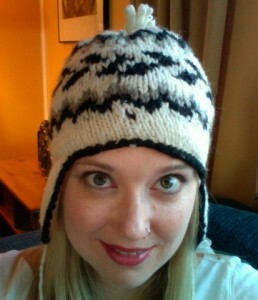 It's not a beanie or a hat, it's a freaking TOQUE.